Former Liverpool striker Emile Heskey has claimed that we’ve got the ascendancy over Manchester City in the race for the league title. After eventually coming out on top against Fulham on Sunday we’re now two points ahead of City who still have a game in hand. 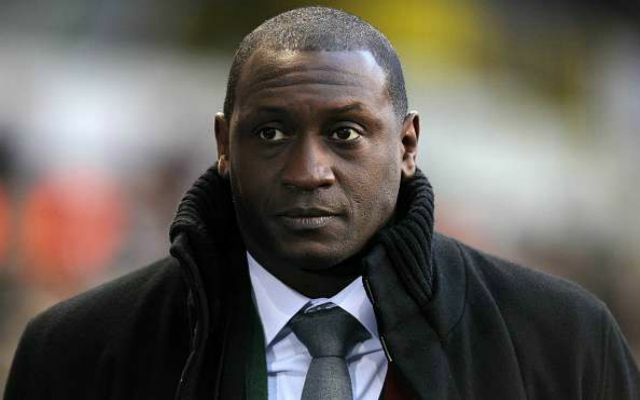 Heskey, however, has admitted that we lack the experience they have amassed in recent league-winning seasons. Speaking to Sky Sports, the ex-England international said, “A lot of teams are expecting Liverpool to go and score five or six goals, but Fulham are fighting for their lives as well. “I’m guessing they’re already gone, but it’s about pride; to play against Liverpool and to get a result would be good, especially for Scott Parker. It certainly was – so maybe that fact belies the idea that we might not have the ability to see out games as all champions must do? There have been ups and downs but its been pretty level all season – we’ve drawn games we should have won, while they’ve dropped points in shock losses to Crystal Palace, Leicester, and Newcastle. But a loss and a win is still better than two draws, unfortunately. Liverpool have 13 more points in the Premier League than they did at this stage last season and are just one point behind Manchester City. They’ve just beaten Bayern Munich over two legs to reach the Champions League quarter-finals. With seven games to go – eight for City – we’ve got an advantage against our title rivals according to Heskey: “Psychologically it’s very important. “As you saw before, they were always having to chase Manchester City, they were always trying to stay ahead. Now they’ve got the upper hand. “It’s better to have the points in hand rather than having to go out there and fight for it. City have become used to winning it, while we’re on the hunt for a league title that has been the steadfast aim for 29 years. “There’s going to be an expectation – there’s an expectation when you’re at all big clubs,” explained Heskey. “There’s an expectation for all of them to actually go out there and be winning every week, and the players understand that; the players know that, the players are aware of that. Can’t argue with him there. Chelsea and Arsenal, even Tottenham and Manchester United, are all in a period of flux – there has never been a better time for us to go all the way this time out. It’s two-horse race against City and we need to beat them to the finish line! Everything to play for and seven games to do it – come on, Reds! !